Beautiful apartment block. 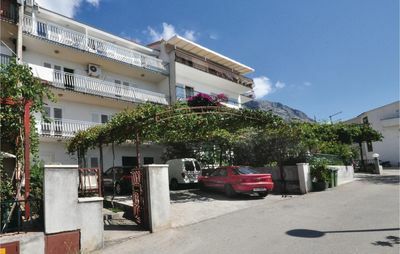 In the district of Palit 2 km from the centre of Rab, outside the resort, in a sunny, elevated position, 100 m from the sea, 250 m from the beach. 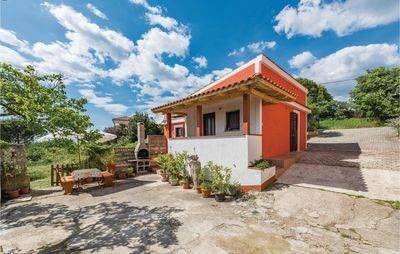 For shared use: property (fenced), well-kept garden with lawn, swimming pool angular heated (9 x 4 m, depth 120 - 160 cm, 25.04.-03.10.) with internal staircase. Children s pool, outdoor shower, garden furniture, barbecue. Roofed, parking at the house. Shop 900 m, restaurant 50 m, sandy beach, pebble beach 250 m, public bathing area 900 m. Tennis 2.5 km. Please note: There are more similar properties for rent in this same residence. Property ref. HR3700.301, 310 is situated on the same property. 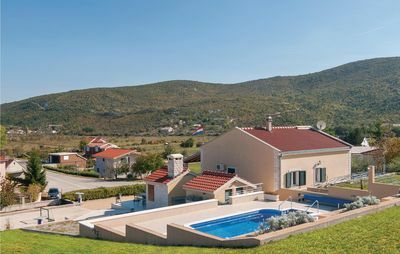 The apartment house Pavica is situated on the same grounds (1600 m2) with apartment houses Ivan and Mihaela , with swimming pool for shared use, with counterflow. One part of the pool is a paddling pool, depth 30-60 cm. Deck chairs at disposal. 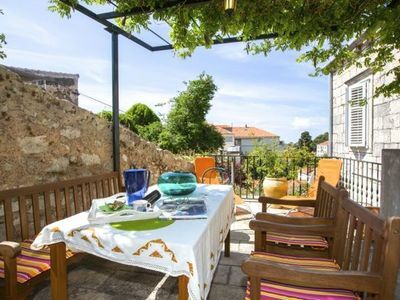 The old town of Rab can be reached by a coastal promenade (20 minutes walk). 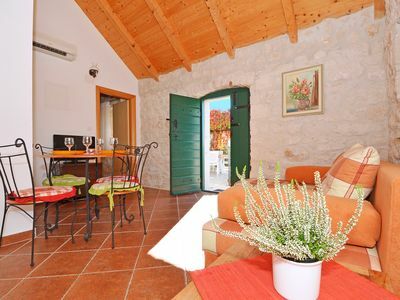 Pavica 4 , 2-room apartment 35 m2 on 1st floor, modern and cosy furnishings: living/dining room 18 m2 with 1 double sofabed (145 cm, length 195 cm), satellite TV and air conditioning. Exit to the balcony. 1 room with 1 double bed (160 cm, length 200 cm). Kitchenette (4 hot plates, microwave, freezer). Shower/WC. 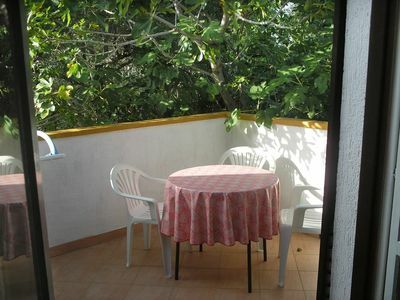 Balcony 10 m2. Terrace furniture. View of the sea. Facilities: safe. Internet (WiFi, extra). Reserved parking.